Bethany offers a broad range of academic enrichment opportunities for its students, such as the Duke Talent Identification Program (TIP), the National Junior Honor Society, the Presidential Award for Academic Excellence, online Florida Virtual School courses, and the Broward County Non-Public School Association's Pinnacle Awards. BCS students have routinely excelled in competitions sponsored by ACSI (Association of Christian Schools International), including science fairs, math olympics, and creative writing fairs. We also host spelling bees, geography bees, speech & debate forums, and art fairs. Preschool and elementary students will be exposed to weekly visits to the library. Our newly designed, colorful media center offers a range of thousands of books, over 400 videos and DVDs, reference materials, and approximately 60 "Big Books." Our fully automated digital library (Destiny Quest from Follett) assists in the circulation, search, and administration of these resources. PRESCHOOL: Students enjoy weekly story times with entertaining books that facilitate basic discussions about the story. 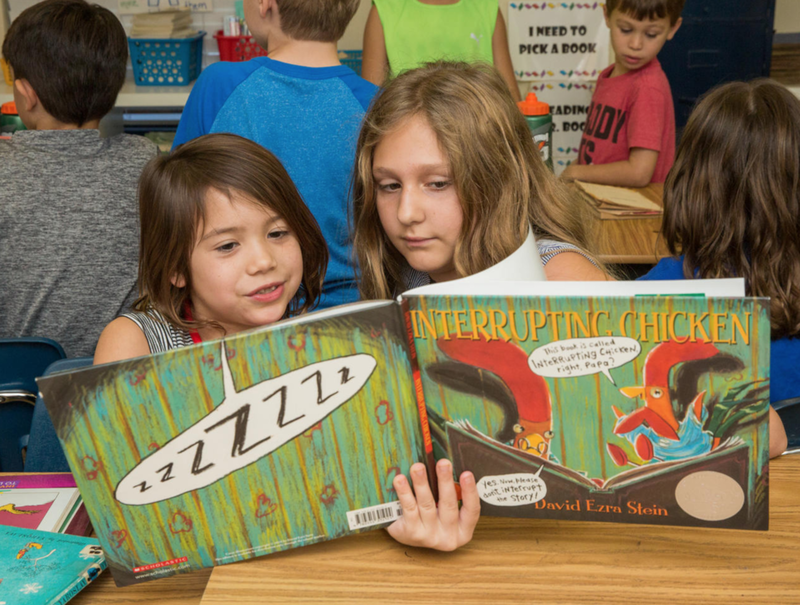 ELEMENTARY: In lower grades, students will continue to enjoy story time with carefully selected books aimed at reinforcing the curriculum objective (e.g. plot, genre, author, illustrator, etc.). In upper grades, students make weekly visits to the library to check out a book of their choice. This is intended to spur a love of reading in our students. MIDDLE SCHOOL: Students may utilize the library for recreational reading. They will also use its resources for book reports and research. Birthday books and Grandparents Day books may be given as donations in honor of students. If you would like to donate a book, please click here. The Scholastic Book Fair is held each spring. In addition to daily time for recess, our preschool and elementary students will benefit from physical education (P.E.) classes. These classes will offer students an introduction to health & fitness training and major sports. Our P.E. program also includes unique activities (e.g. The Math Game, Habitat Relays, and Spanish Hula Hoops) to reinforce classroom curriculum. 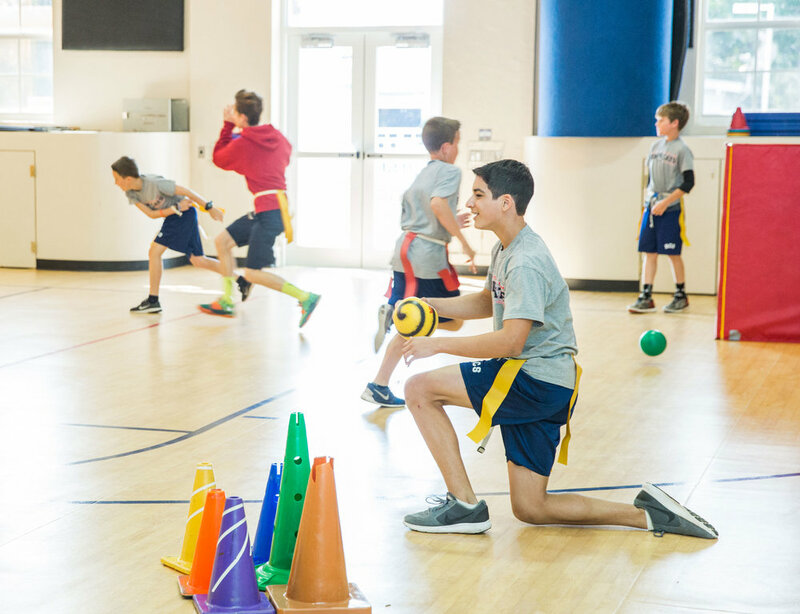 Students will also be exposed to activities that aim to improve the student's fine & gross motor skills, coordination, core strength, and reflexes. Competition and physical training can play a crucial role in the development of a child. In addition to our sports programs, which are offered to both elementary and middle school students, our P.E. classes are structured to provide character development, personal health & hygiene curriculum, and fitness training. P.E. classes are held inside Bethany's air-conditioned gymnasium. During cooler months, Bethany's outdoor courts are utilized and enjoyed. In the spring, all students (grades K-8) will participate in our annual Field Day competition. Bethany is a participate in the Presidential Physical Fitness Program. All preschool and elementary students will receive Spanish instruction each week from a dedicated teacher as part of the regular curriculum. As one of the few area schools to offer foreign language instruction at every grade-level, this provides our students with exposure to foreign cultures, reinforces vocabulary via shared Latin roots, and offers an academic advantage over other schools. Our Spanish textbooks (Viva El Espanol!) offer a complete, six-level language development program designed for each preschool and elementary grade level. PRESCHOOL: Students will learn colors, family members, numbers, days of the week, animals, parts of the body, and more. Manipulatives and bilingual books are extensively used at this level. ELEMENTARY: Students will begin to focus on greetings, common expressions, classroom objects, numbers 1-50, states of being, colors, shapes, days of the week, weather, months, clothing items, and Spanish culture. Basic grammar and sentence structure are also covered at this level. MIDDLE SCHOOL: Students may opt to take Spanish electives utilizing a more advanced edition in the Viva El Espanol! series. They will focus on increasing vocabulary and grammar skills with an aim toward basic conversational fluency, enhanced dictation, and an expanded knowledge of the country-by-country variations of Spanish. The Spanish I course provides high school credit. All BCS classrooms are networked and offer computers and tablets for student use. In addition, preschool and elementary students attend computer classes in the technology center. Our computer curriculum is closely integrated with classroom academic instruction. Our Type to Learn program helps students acquire strong keyboarding skills, which are continually reinforced in subsequent grades. Elementary students will receive age-appropriate instruction on Microsoft Word, PowerPoint, Excel, and web page design. The curriculum emphasizes the importance of online privacy & safety, the basics of graphic design, editing, online research, and the creation of multimedia presentations. For more information about our computer-based curriculum, click here. Bethany offers an excellent visual and performing arts program from the preschool level through eighth grade. From painting and drawing to singing and acting, Bethany's fine arts program is truly exceptional. From the earliest grade-levels, students begin compiling their own art portfolios. Preschool and elementary students receive choral and instrumental training, which they display in performances at various school events. Elementary students (grades 2-5) participate in weekly drama courses aimed at expanding their interests, imagination, and skill sets. Middle School students are also presented with electives for visual arts, performing arts, improv, theater-craft, and more. For those desiring more in-depth instruction, private lessons are available for piano, violin, and vocal training.